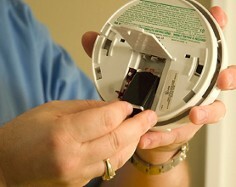 It is very important to have a working smoke alarm with a working battery in your home. If you have that, it greatly lowers your chances of dying in a fire. 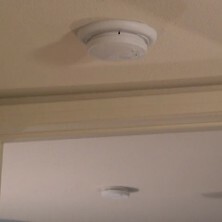 What Powers a Smoke Detector? These batteries must be tested on a regular basis and, in most cases, should be replaced at least once each year (except for lithium batteries). 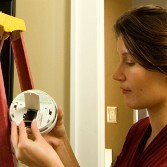 See the Smoke Alarm Maintenance section below for more information. Since smoke and many deadly gases rise, installing your smoke alarms at the proper level will provide you with the earliest warning possible. Always follow the manufacturer’s installation instructions. *Hardwired smoke alarms should be installed by a qualified electrician. Contact the Bainbridge Twp. Fire Department if you have any questions or need assistance with your Smoke Alarms.